Described by Marco Polo as the finest and noblest city in the world, the city of Hangzhou is synonymous with its UNESCO world heritage site of the West Lake, scenic beauty and Dragon Well tea. 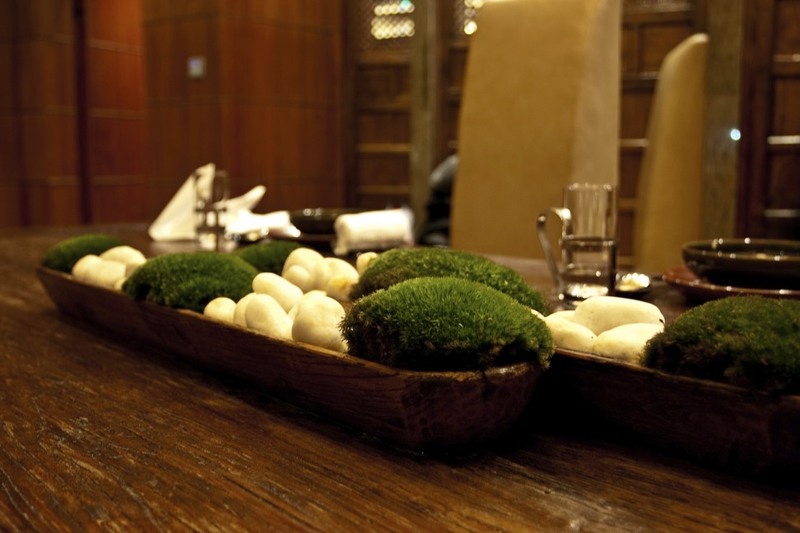 It is also the location of the restaurant, 28 HuBin Road! 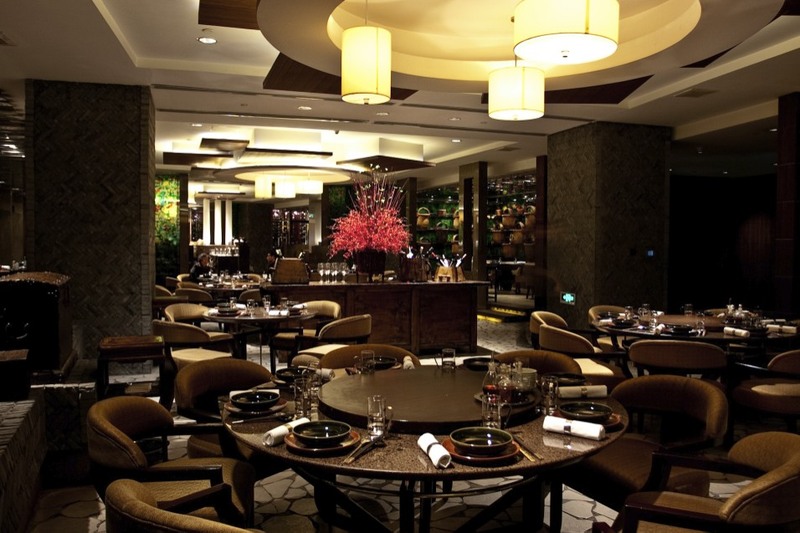 The restaurant, located at the Hyatt Regency, is considered to be the best restaurant in China by many notable local food critics and the like. Located only an hour’s train ride from Shanghai, it would have been sacrilegious to miss this opportunity. 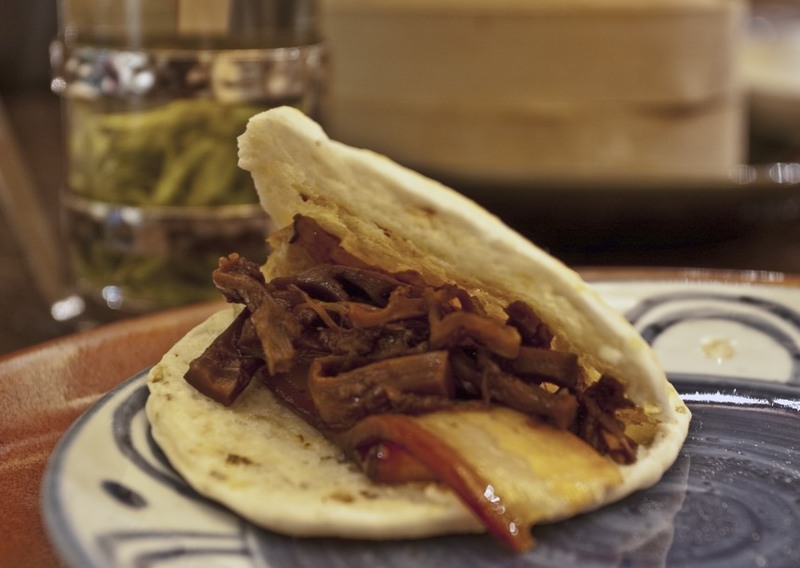 We were famished from some early morning tourism around Hangzhou and arrived with an appetite! 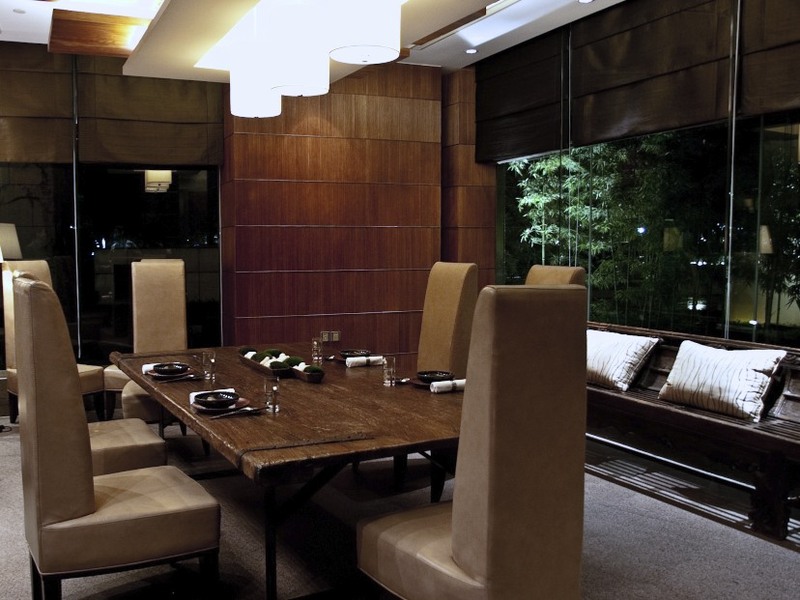 … the private dining room, which had a lovely view out on to the bamboo garden. Before getting stuck in our meal, we were welcomed with a traditional tea ceremony. It was apparent from the first few minutes that the quality of service here was far more superior to any other restaurant we visited during our trip. The front of house were engaging, insightful and most importantly made you feel at ease. Despite the 2,500 bottles of wine on offer, we decided to make the most of the varieties of tea to go with our meal. As were were aiming to catch the last train back to Shanghai that evening, we had to request for our meals to be served at a slightly faster pace. Straight after the ceremony, a plate of appetisers were brought to each of us. Starting with the left going clockwise, there was aromatic beef with a sesame sauce, sweet and sticky rice cubes with lotus root, a delicious slow poached quail egg where the yolk had been replaced with a rich foie gras mousse, crispy fried radish, smokey fish and finally a parcel of crunchy enoki mushroom. It was a modern twist on classic dishes, but most importantly all were delicious. Rather than serving everything simultaneously or as the dishes were ready, the food here came steadily in a paced speed, allowing us to savour each course separately. 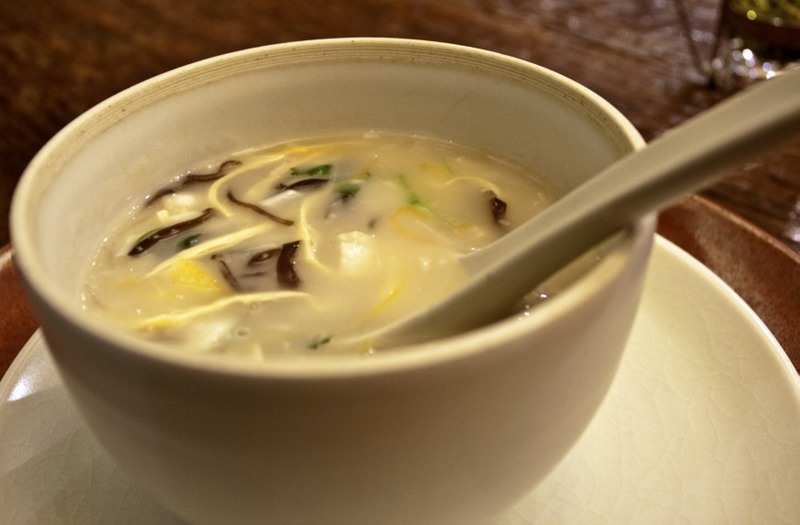 Our next course was Lady Song’s Sweet and Sour Fish Soup, an 800 year old dish made from a rich broth and the tender meat of the mandarin fish. Everything in the soup tasted fresh and given the complexity of the flavours I could see why it gained the nickname of the luxurious ‘crab porridge’ despite containing none of the crustacean. The Longjing Xia Ren (Dragon well shrimps) was similarly impressive. 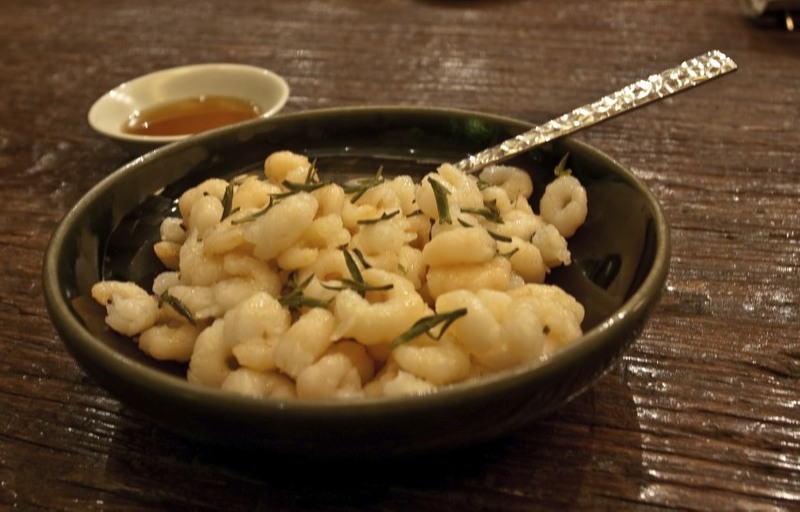 The fresh water shrimps had been coated and marinated in a mixture of egg white and potato starch for a couple of hours before being ‘velveted’ (flavours sealed through medium heat) and combined with a simple sauce infused with premium quality Dragon Well tea. Additional tea leaves were scattered for finishing touches to really infuse the herbacious flavours of the tea to the moist and tender shrimp. … but what was more impressive was the knife skills that then went into slicing meticulously along the edges of the pork belly, keeping the piece together as one long strip. It was then braised in its pyramidal shape, revealing the skills that went into the dish only as you unfolded the meat from the base. 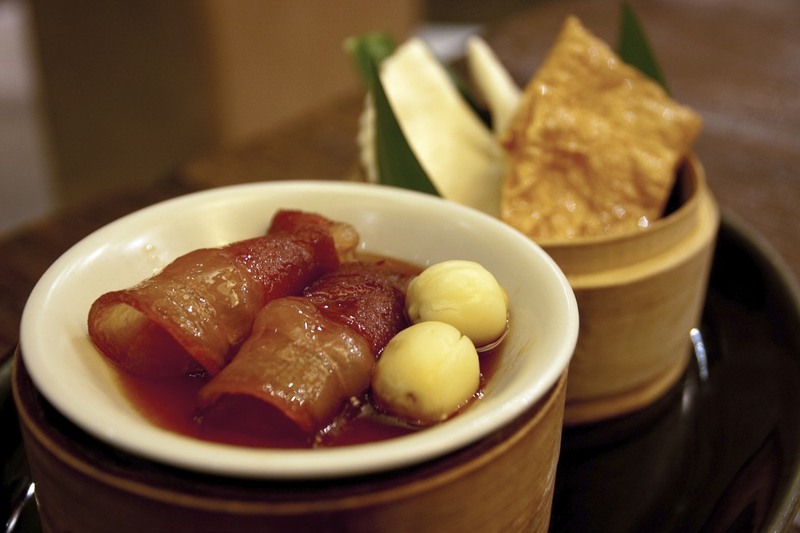 The bamboo shoots and pork belly slices were then wrapped with the sweet chestnut pancake. 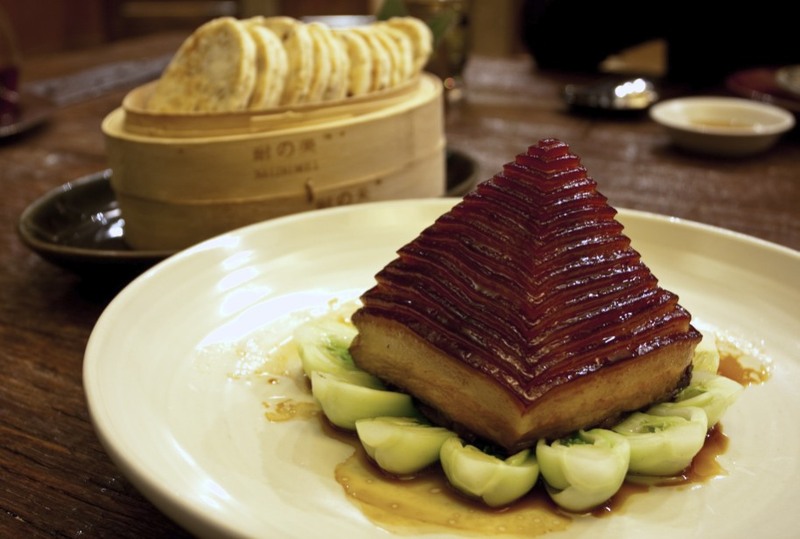 The thin layers of pork belly melted in your mouth, releasing a flood of sweet and savoury flavours. 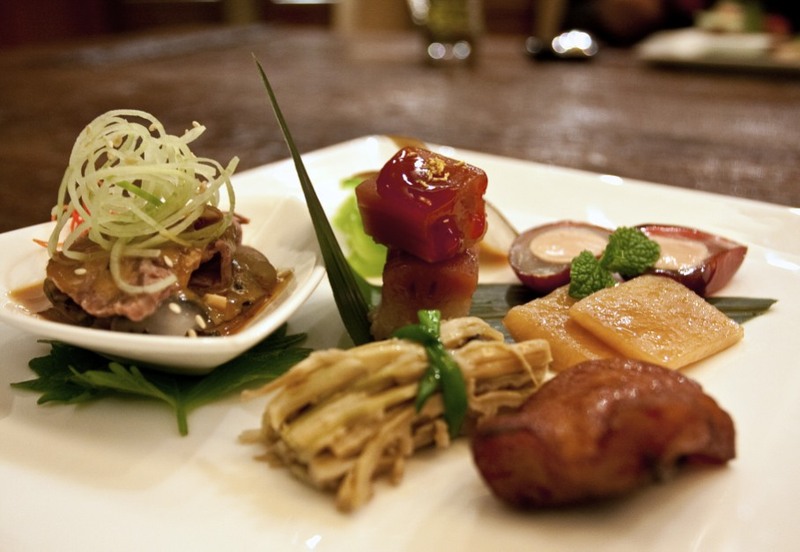 This dish alone justified our trip to Hangzhou, and even China. 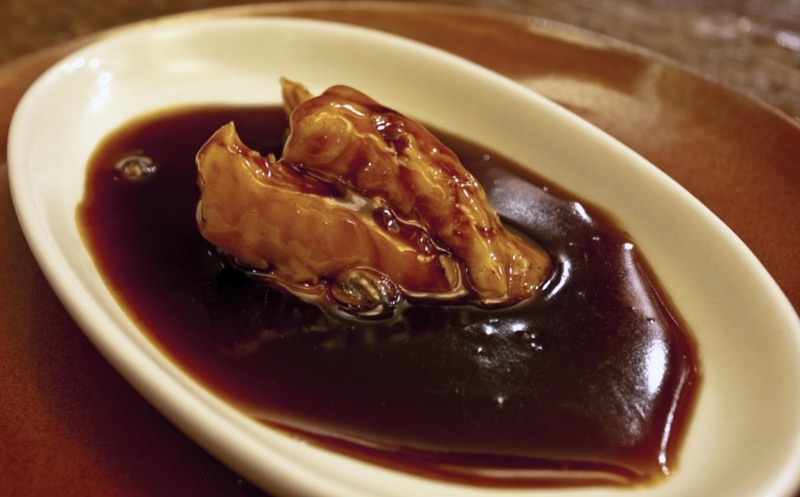 This was also my first time trying the West Lake poached Marble Goby in sweet vinegar sauce. Other than the benefits we’d heard on the rumour mill around the fish having life prolonging and healing properties, the marble goby fish was tender, smooth and sweet, but not flakey. The flavours from this fresh water fish was amazing and as far as I could remember one of the best I’ve had in a very long time. We hesitated on ordering the Beggar’s chicken, given none of us had ever enjoyed the dish, often due to the meat being too dry or bitter from the stuffing, but a trusted food source had advised us to reconsider the dish here. So we gave it a try…… and boy were we glad we ended up not missing out on this dish. 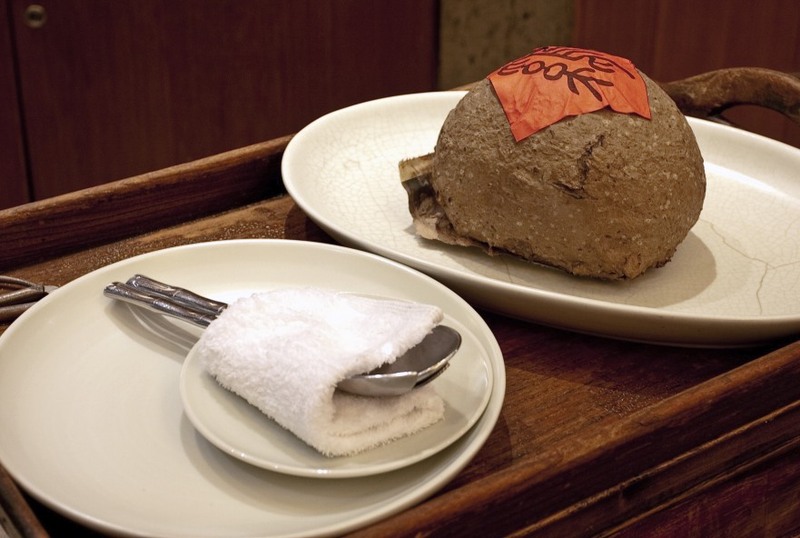 A stuffed whole chicken was wrapped in layers of lotus leaf and covered in clay before being baked for an hour. It was brought to our table still in the clay and with a wooden hammer. 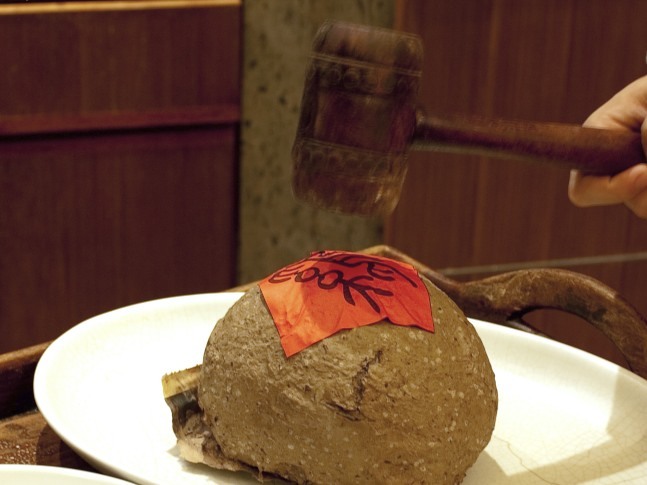 The chef prompted us to pick the hammer up and break the mould for good luck. 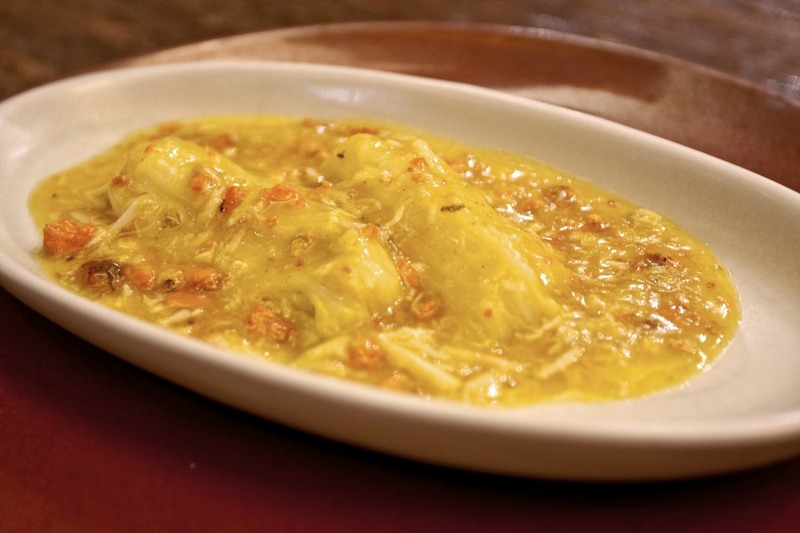 This dish was the result from experimenting with over 200 recipes over a number of months. 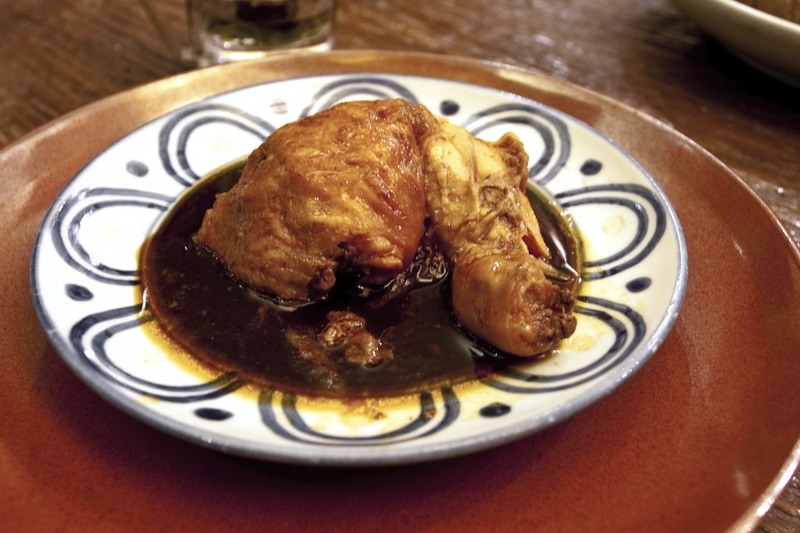 The juicy meat fell off the bone with ease and was packed with flavours and fragrance from concoction of rice wine, soy sauce, sesame oil, star anise, ginger and stuffing (which remained a secret), resulting with a sweet after taste. Impressive stuff. A rather unadventurous Honey glazed ham followed the preceding three amazing dishes. And when we thought the best dishes were done and dusted, a fairly unassuming Braised cabbage with crab roe appeared in front of us. However, the execution of the dish was exemplary. 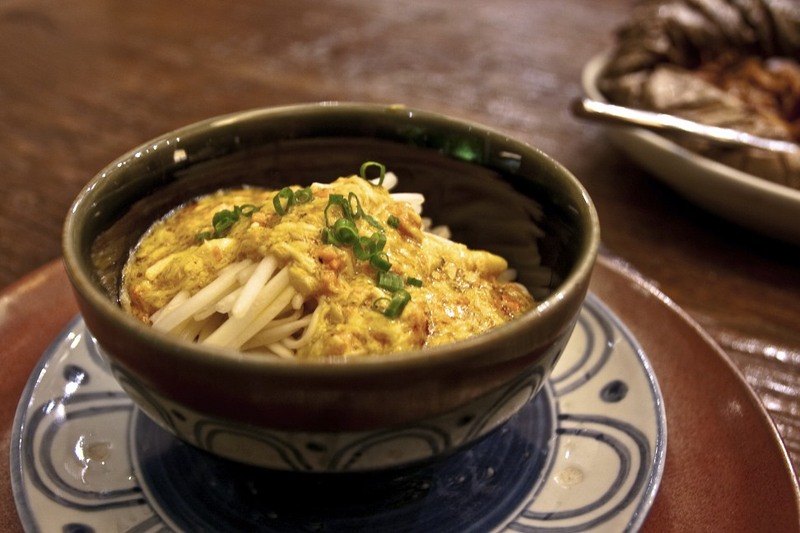 The cabbage had been prepared with precision to allow enough flavours of the crab roe to be soaked up, yet maintain some bite. It was like a blank canvas painted in crustacean. All we could taste was the delicious crab from Yangcheng Lake. Just in case we didn’t get enough of the beautiful crab flavour the chef prepared us a bowl of Mixed Noodles and bean sprout with crab roe. I personally preferred the braised cabbage as the flavours of the crab roe was comparably lost here. A Crab roe dumpling soup was then served to finish our meal, abruptly, as we realised we had only 15 minutes before rushing back to the train station. 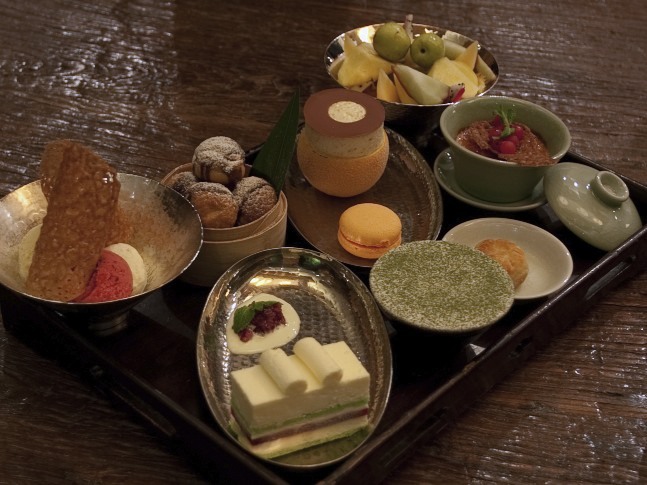 Fortunately, we had just enough time to squeeze in an assortment of desserts. Showcasing traditional and modern flavours and techniques from the Dragon Well Tea crème brûlée and Osmanthus ice cream, to the Jasmin mousse cake, what a perfect way to end our meal. Thoroughly delightful. 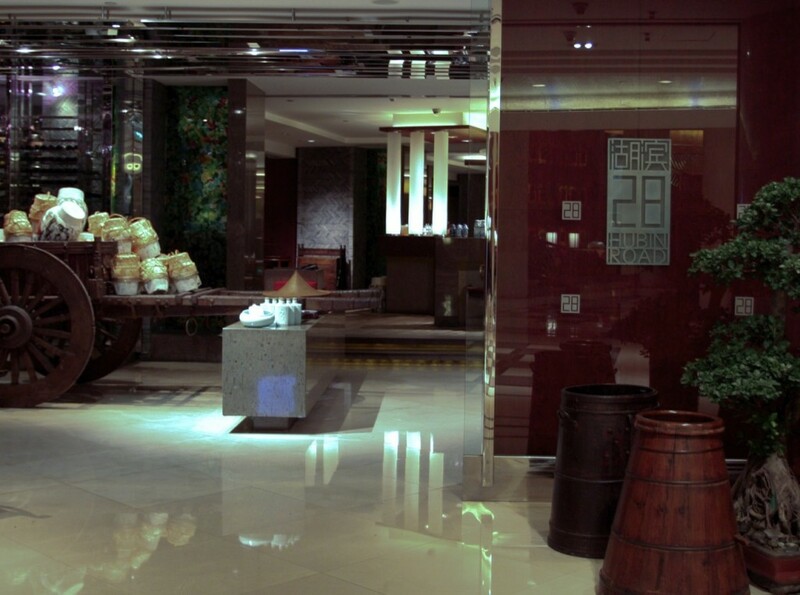 There were some amazing restaurants in China but 28 HuBin Road was the only place that offered a fine dining experience that went beyond amazing food. 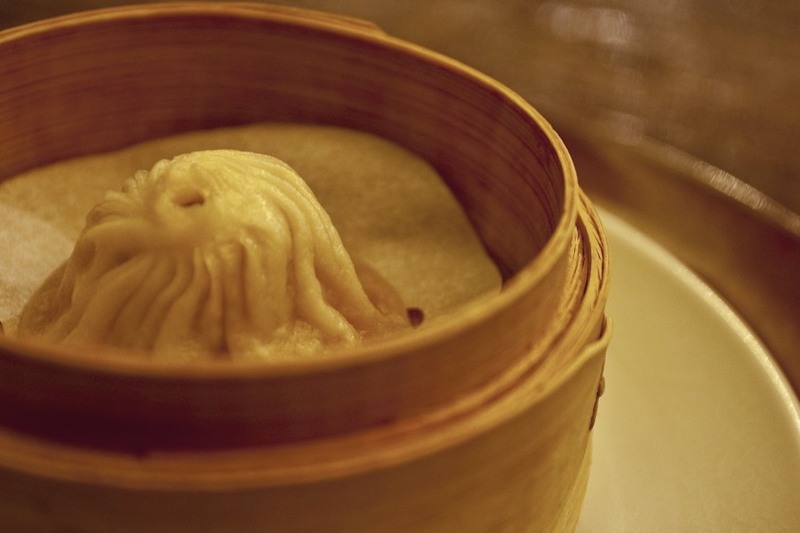 As a foreigner, I appreciated the front of house taking their time to go over many of the tales and anecdotes behind the dishes that have now become synonymous to traditional Hangzhou cuisine. In retrospect, it would have been far more sensible to have stayed overnight in Hangzhou. I won’t be making the same mistake again next time. You have been warned. 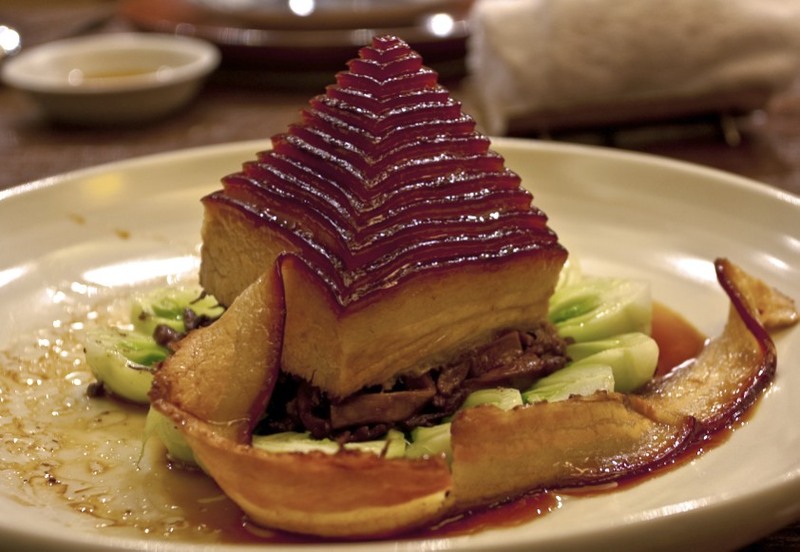 This entry was posted in China and tagged 28 Hubin Road, China, Colin Yu, Dongpo Pork, Hangzhou, Hyatt Regency, San Pellegrino Asia's 50 Best on June 30, 2014 by admin.